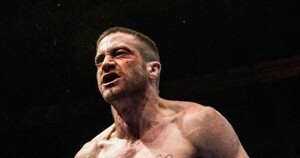 Straight off the bat, Southpaw is not the next Rocky, nor Raging Bull. The reason for that is simple; there have been forty years of boxing-related movies since Rocky and Raging Bull. That’s not to say there’s been some sort of smorgasbord, or overload, of boxing movies; simply that there have been some, and perhaps other cases where someone has thought of making one and ultimately, accurately, realised that Rocky and Raging Bull already exist. Yet there remain a handful of supremely talented people who try their hand at it nonetheless; soon it’ll be wunderkind Miles Teller’s turn, as Vinny Pazienza in the sure-to-burn-up-the-festival-circuit Bleed For This. Right now, it’s Southpaw. So what’s gone wrong? Considering the talent involved, this should have been a home run. Directed by Antoine Fuqua, of Training Day fame. A script from Kurt Sutter, showrunner of Sons of Anarchy. That’s a bucketload of grit, mixed with indefatigable human nature right there. Chuck a wholly-committed Jake Gyllenhaal into the mix, all Shredded-Wheat and method acting invested into the part of rise-and-fall-and-rise-again boxer Billy “The Great” Hope, with a pinch of Forest Whitaker as grizzled mentor ‘Tick’ Williams, and you’d be forgiven for going into Southpaw with no prior knowledge other than the very fact of its dab-hand creators. What has ultimately transpired is a paint-by-numbers picture; Billy has come from nothing, with true friends and true love by his side, rising through the ranks to be a fighter of the highest calibre, ruled by rage and hatred in the ring rather than technique. Hitting him only makes him angrier. World champion, he soon has his entire life stripped away from him after the occurrence of one tragic event. Spiralling out of control, he loses his wife, his daughter, his money, property and title, and we are left to witness a broken man pick up the pieces – a man ill-equipped to deal with the world as it exists due to a traumatic childhood and an adulthood spent adored for his pugilistic charms rather than any regular humane qualities. The identities of the cast and crew promise a “boxing film” elevated above the rest, yet all the story manages to do is push buttons we’ve already had pushed and present us stories which ignite our déjà vu. 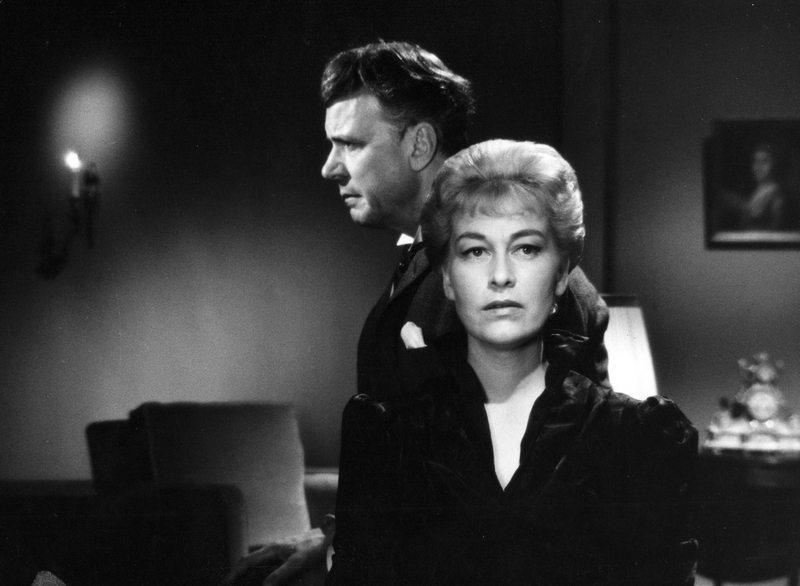 Billy Hope grows angry and restless at a legal situation wherein he is not immediately allowed access to his child; his anger is projected outward and portrays him to the authorities as someone unfit to take care of a child. If only he could just overcome his anger issues and see reason…! Yawn. The real draw of Southpaw, no matter how cardboard-like the story and turn of events, is Jake Gyllenhaal’s absolute immersion into his role. Jake Gyllenhaal, the ever-so-slightly-effete and definite oddball of Hollywood, is gone. In his place is a simmering cauldron of rage and abandonment issues given human form. This simple man’s inexorable tearing-down is nothing if not affecting to watch, no matter how many familiar beats it hits, because Gyllenhaal is this man. Thanks to his performance, which director Antoine Fuqua shares some credit for bringing out, it feels like we are watching a documentary rather than a fiction, easily-telegraphed plot points and screenwriting shortcuts aside. Make no mistake – Gyllenhaal is at the top of his game; Nightcrawler and Southpaw are a heck of a one-two punch (you will accept that pun, and you will like it goddammit). Adding to the retread vibe and simultaneously excelling it is Forest Whitaker as faded Miyagi figure Tick Williams, who Billy turns to in order to re-train himself as a fighter who – gasp – actually defends himself rather than Homer Simpson-ing his way through a fight. Whitaker is made for it, playing a drunken former fighter who nonetheless has his set rules for his gym where former pros and wayward youths train alike. His repartee with Gyllenhaal is natural and well-formed, if fairly trite – as the script insists. A mishandled subplot about a young hopeful at the gym being murdered is almost entirely glossed over and only (obviously) exists to cement the relationship between Billy and Tick. Again, it’s a symptom of the well-telegraphed plot being elevated by two performers who are better suited to more groundbreaking material (Whitaker especially is a long way from Ghost Dog). In the end, it’s the writer(s) and director that let the material down, with the actors barely elevating it thanks to such invested performances, therein making the characters believable and relatable – even if the apparently-unavoidable plot “twists” drag it down. Southpaw is a masterclass in acting, and a textbook roadmap for aspiring filmmakers as to how to plot a story without breaking the mould.